Three has officially announced its new iPad data plans today with upfront costs starting from £99 with 15GB allowances on all 24-month contracts. 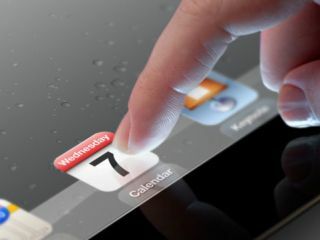 You can find out the latest details from all the networks by checking out our New iPad: where can I get it? article. In its release to TechRadar the network was at pains to point out that it has "invested significantly over the past year upgrading its network to the latest 3G technology – HSPA+" which it says "will deliver the fastest speeds yet for customers buying the new iPad". Of course, the networks are in a slightly odd position given that they will be selling a 4G-capable device to run on 3G networks. "Teaming up our leading-edge HSPA+ network with the innovative new iPad is great news for our customers," said Thomas Malleschitz, marketing director at Three. "Our customers already enjoy superfast internet on the move, and with an excellent range of great value price plans and our leadership in fast UK mobile broadband, we look forward to being the network of choice for new iPad customers." Here are the full Three new iPad tariffs. Don't forget to check out our Hands on: new iPad review.